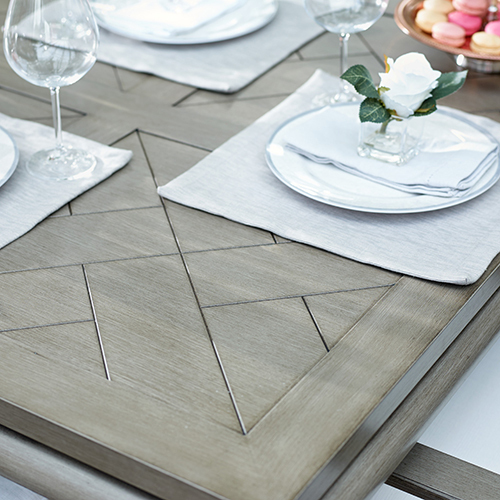 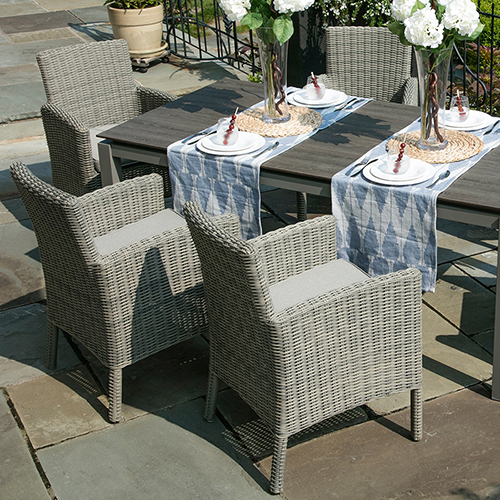 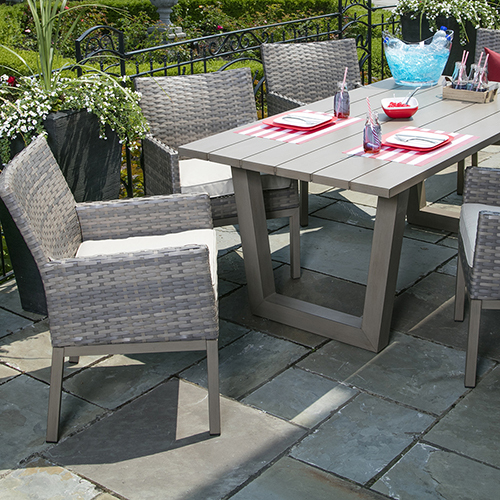 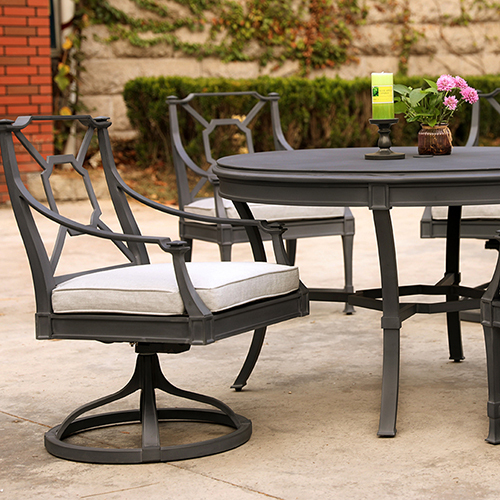 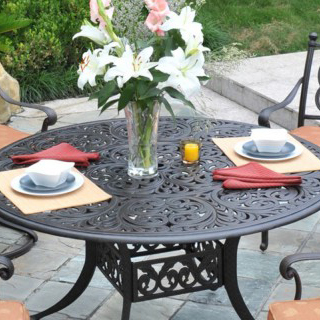 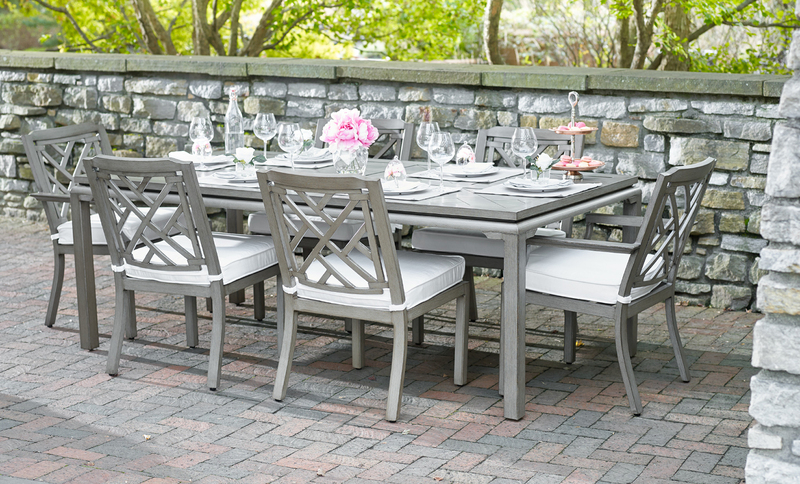 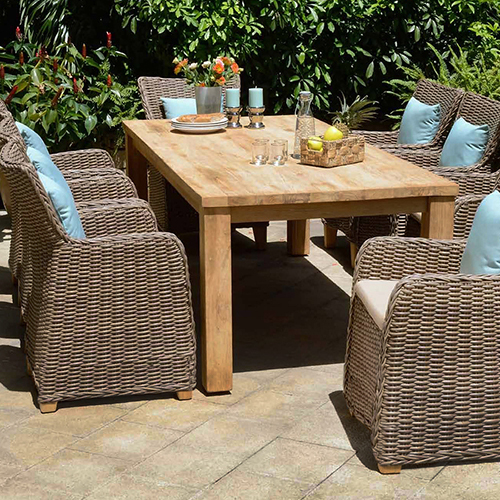 Nothing beats family time around the dinner table—that is, unless you’re enjoying your family dinners outside on your beautiful and elegant outdoor patio dining furniture. 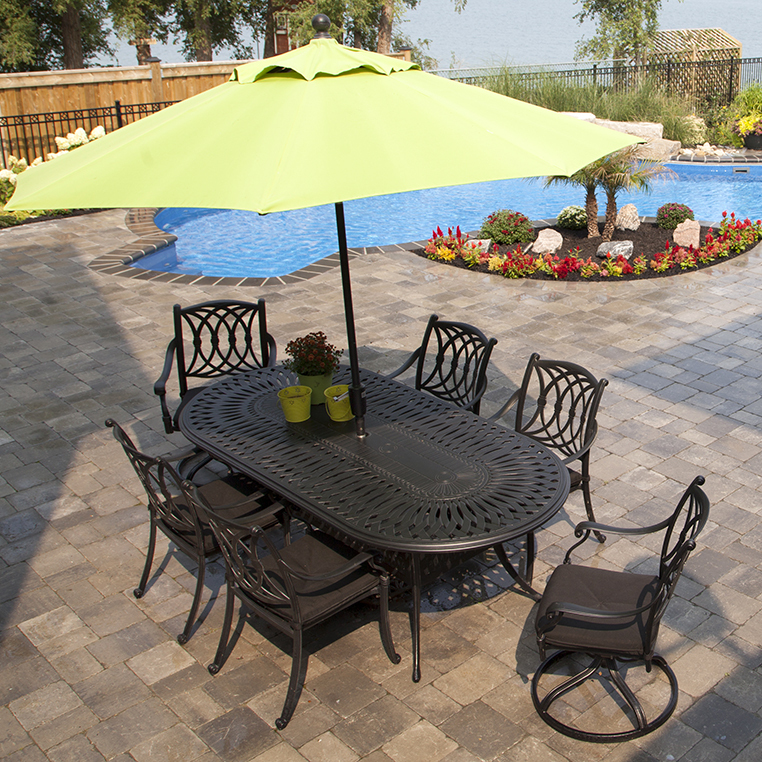 Imagine relaxing with a cool drink in your hand, as you and your friends chat while the kids play in the pool. 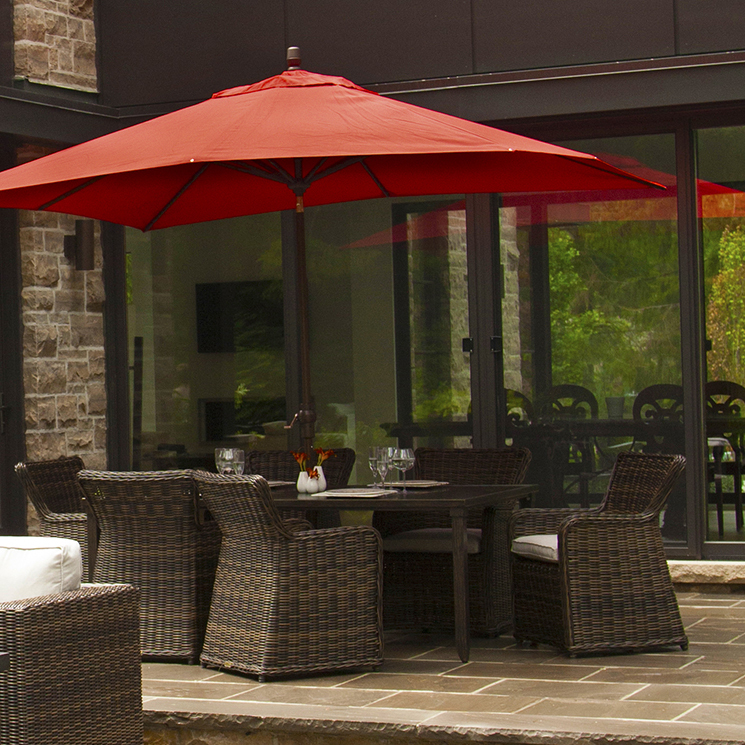 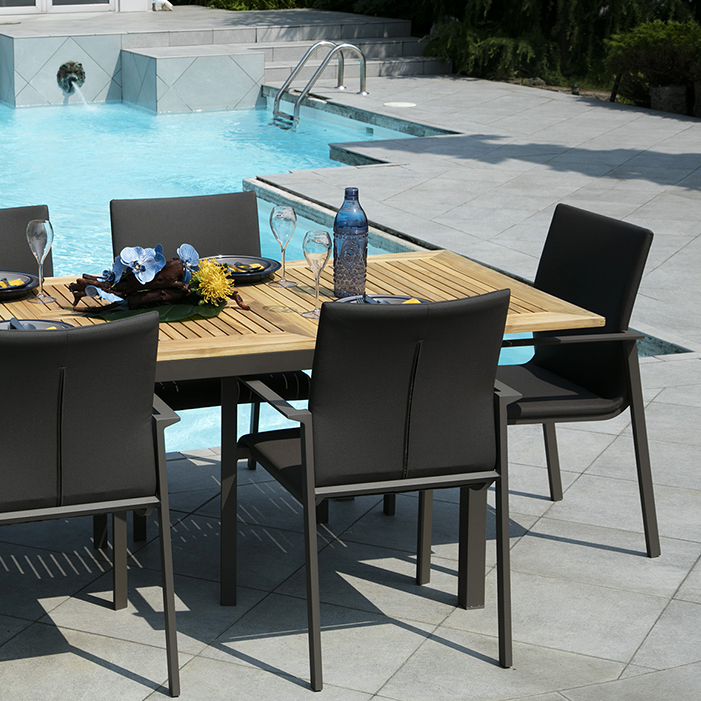 With an outdoor dining collection from Crown Spas & Pools, this could be your lifestyle any night of the week. 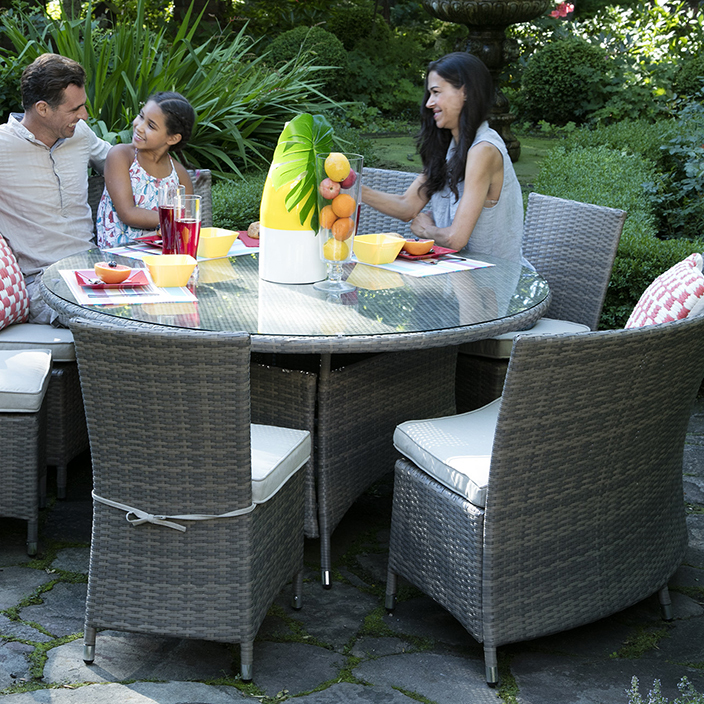 We have a large variety of styles, colours, and weather resistant materials to choose from to create your own personal outdoor oasis, no matter how large or small your available space is. 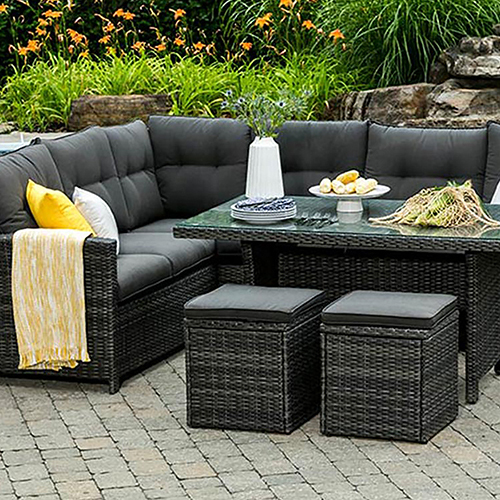 Browse our collections and give us a call or stop by 760 Century Street to see complete displays in our showroom to stimulate your imagination. 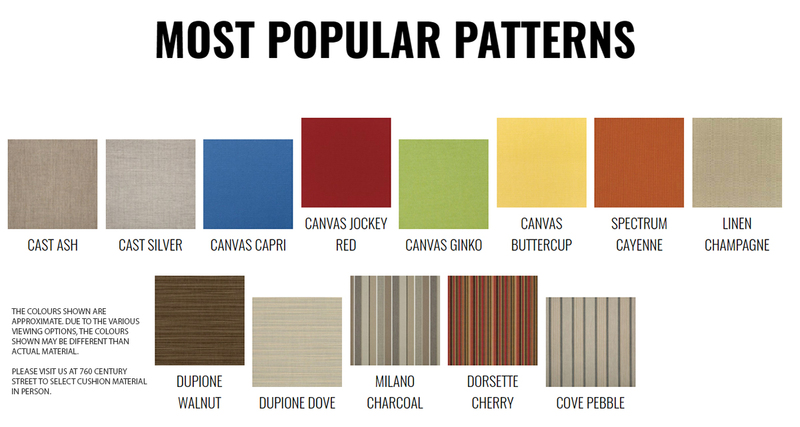 Customize your collection by selecting stunning cushion patterns and colours to suit your taste. 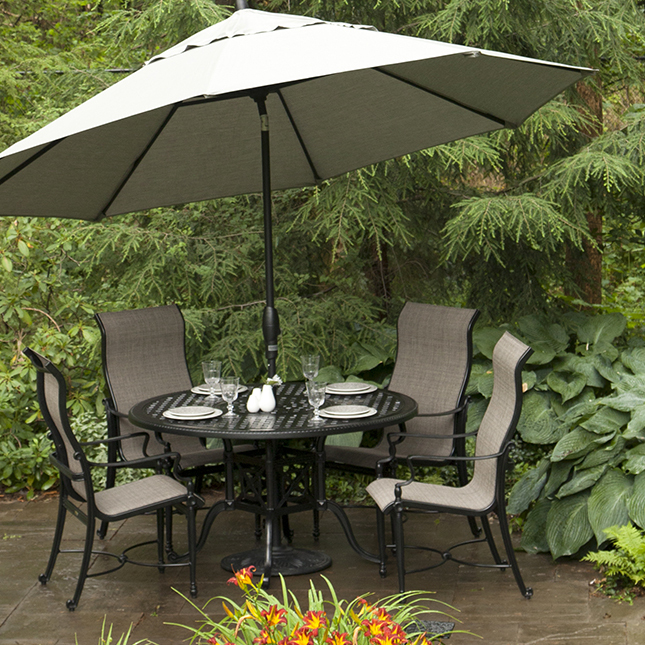 For a complete list of options, view the SUNBRELLA WEBSITE.